It’s all too easy to find yourself locked out. We sometimes get so used to our daily routine such that we do not even remember simple instructions that are different from our regular schedule. Usually, when I leave from home in the mornings and return from my office in the evening, my parents are at home so I do not carry the home keys. But one fine morning, after my parents announced that they would be out and about and would return late in the evening, I decided to carry the keys of the house with me so that I could gain access to my house in their absence in the evening. But I forgot to carry the keys, since I am not used to carrying them usually. Sound familiar? Call Swift Locksmith Liverpool now. With the training and experience needed you will find the highest quality of key cutting with a locksmith Liverpool who priorities quality and keys which will last you. Meaning smooth key turns for many years with minimal wear and tear on your lock removing high risk of keys snapping causing greater issues and inconvenience. 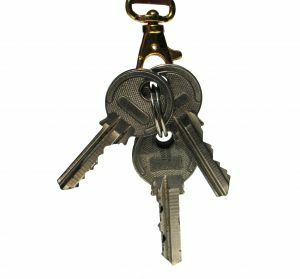 If there is anything that you are wondering with regards to key cutting or any of the other day to day services and products which this experienced locksmith Liverpool supplies you can feel free to get in touch at any time. Should you be faced with the unfortunate situation of a snapped key rendering your lock unusable and need a swift locksmith Liverpool emergency lockout service , feel free to get in touch at any time. With the line open 24 hours help will be on the way in no time at all, making sure that your plans for the day or night can carry on with minimal inconvenience and minimal added stress. So please feel free to save the number for us, someone who you can trust to always be available when you need, with what you need. And if there is anything you are wondering, don’t hesitate to get in touch now! Should you be one of the fortunate ones currently planning your holiday away in the sunshine, there’s a small suggestion which we would humbly like to put forward. 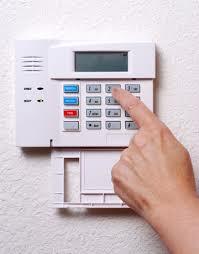 If you are planning on going away this summer, especially if you are a new home owner without a home security alarm system set up yet, it may be a good idea to give it some thought. If you get in touch with a locksmith Liverpool home security installer with experience and who is keeping up to date with the current movements on the industry market you will be able to find more wisdom to why, and how you can make your home more secure. 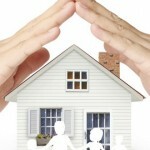 Risk inevitably goes up for a home which is left empty for several days, or even weeks at a time. 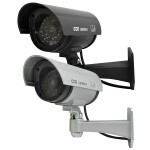 Many potential thieves notice these things as it is what they are looking for. However, there is no reason for panic or alarm, if you get in touch with a locksmith Liverpool home security expert you can get a home security alarm system installed in virtually no time at all, and if your holiday is soon, that is no problem. With a locksmith Liverpool provider who keeps great value for money home alarm and monitoring systems in stock, ready for installation your home security system can be up and running in time for your holiday. 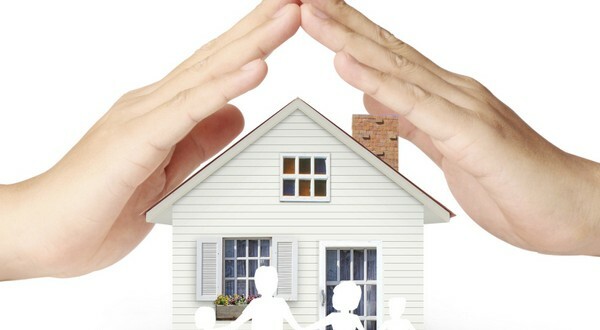 And on top of that, if you give us a ring, you’ll be sure to meet with a friendly locksmith Liverpool home security installer who is competitive in pricing and dedicated to the safety and security of customer homes and belongings. If you are the owner and/or landlord for flats and apartments, this topic may be something interesting for you. A locksmith Liverpool team are happy to give some suggestions to how you can best provide security for communal spaces and areas, and some little hints and tips on what can be done to encourage good practice of use of security measures in place. These suggestions are general, and if you have questions with regards to a specific building and require the advice of an experienced locksmith Liverpool person, please feel free to get in touch at any time. Firstly, and fore mostly, we would advice to get a door suited for its purposes, this especially important for doors with heavy traffic. In this making sure that the door frame is of strong material is also important, and making sure that it’s a good and snug but smooth to open fit. Should you require help with making sure that your door is suited for purpose from a locksmith Liverpool you can get in touch and discuss the subject at any time. If there are mailboxes on the doors, we would suggest that the letterboxes are of a double shutting nature, ensuring that easy access cannot be gained though them. For common areas, an experienced locksmith Liverpool service would suggest door viewers, which enable the residents to see their visitors before having to open the door, which will add to the security that the residents feel in the property. Making sure that residents are aware of the importance of keeping closed doors and not propping them open for use, even if it’s only left out of sight of a moment, as many thieves are also known to be opportunistic. If you are in need of advice specific to your property from an expert locksmith Liverpool provider, you can always get in touch and book in for a security inspection at a time suiting to you, making sure that you have your building covered from a security point of view. And should you endevour to do some reading on the subject we suggest this Metropolitan Police article. Following surveys done with ex-burglars something which came to show was the effectiveness of using CCTV as a deterrent for any security situation, this both with regards to your home security or your office or business security. Having a closed circuit Television system means that the potential intruder is caught on video, something which is high on the list of things to avoid when it comes to choosing a target for a burglar. Any locksmith Liverpool provider knows that being filmed is something that makes potential intruders feel watched and CCTV cameras, even the fake type will surely make them think twice about their next move. Should you require help with installation of your CCTV system, or your face CCTV cameras, from a locksmith Liverpool security installer, please feel free to give us a call at any time and we’ll be able to help you get the measures you need in place, and more than that. We can arrange to do so when a good time for you is found in your schedule. 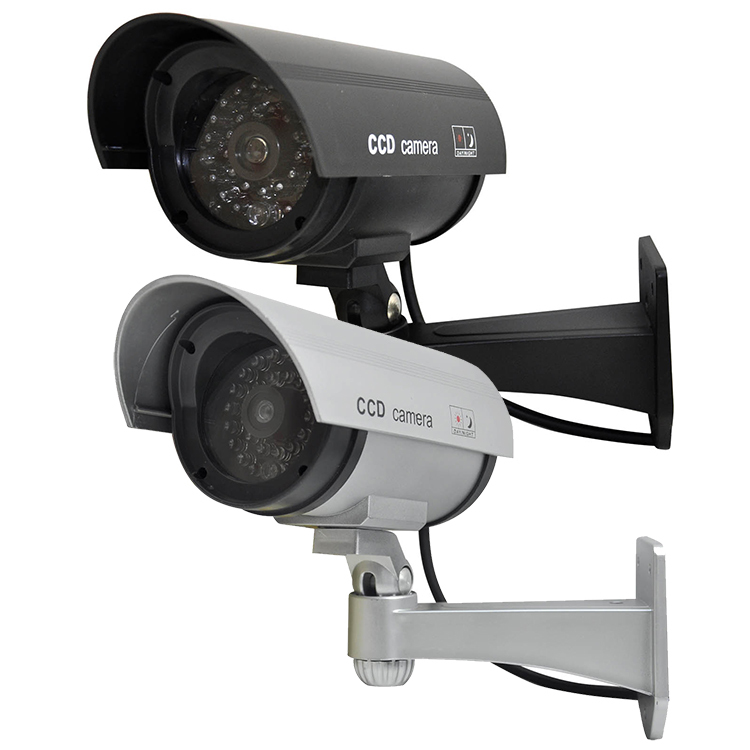 A full CCTV system, although useful for many, is something that naturally comes in a higher price range than getting some realistic looking cases with accurate recording lights to fool any eye. If you require a locksmith Liverpool to help advice you on what type of CCTV, or fake CCTV set up which is suiting to your needs, please give us a call and speak to our security team today. We can help you find the answers to the questions you may have on your own home security, as well as help you with installation of the security means you are looking to put in place. So why not choose a locksmith Liverpool provider with years of experience and dedication to our customers, why not get in touch with us today. For anyone out there with a fence around their garden who might be thinking about how to improve on their security at home, the team here has a suggestion which may be of interest. 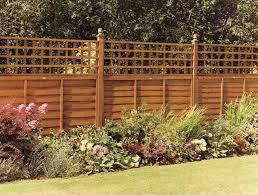 One of the things that locksmith Liverpool is looking at when it comes to fences is how easy they are to bypass. Things like height, what type of material, metal or wood, the design, as in how easy it would be to climb the fence all play a great role and give indication to how secure a fence is classed to be. Something that the Liverpool team recommends for most scenarios though is to put a trellis up running just along the top of your fence. A trellis will make a fence much more difficult to climb, and on top of that you can add some climbing plants with thorns, adding another layer of difficulty for any potential intruder. Your locksmith Liverpool recommends something like a smaller wooden frame or trellis also due to the fact that it’s not something that would typically support the weight of a person, meaning that entry to the garden by climbing the fence is much less likely to happen without making a big ruckus when trying to do so. 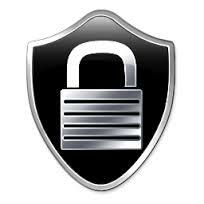 Which we here at locksmith Liverpool sees as another layer of security added. Already quite a far bit into November, and the darkest period of the year is incoming. The team here at locksmiths Liverpool therefore finds it a good time to place a little reminder to get that outdoors light you’ve been meaning to fix repaired or get a new one installed. This is not only for your own convenience, but outdoor lights work very well as deterring factors for potential intruders. 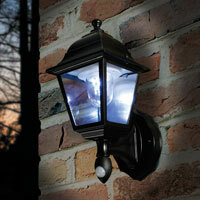 Here at locksmiths Liverpool we know our industry and we know the big effect which light has on your home security. This is of course the reason that this is something that we recommend for all home owners, especially now during the winter where many of the hours in a day are in fact dark. There is of course no reason for these lights to be on always, this would be both costly and wasteful, however with a motion sensor light installed there is no reason to worry, it will only be on for the short period when you are there, or act as a warning signal for you should there be someone in the outdoor areas of your home on top of being that highly effective deterring factor for potential thieves. So for us here at locksmiths Liverpool there are no reason to not make sure you have adequate light installed, both to in order to keep risk of a break in to a minimum as well as for your own convenience. Here at locksmiths Liverpool we also know that it’s never nice to search for your keys in the dark, or perhaps something falls to the ground, and without light something very simple as picking it may become more of a challenging and energy demanding task. There are few markets that move as swiftly as the industry market of security, locks and design. Since we at locksmith Liverpool understand the importance of always keeping with the times, especially when it comes to things involving people and their security and safety. So we are always making sure that we are up to date with the latest innovations and trends on the market. At locksmith Liverpool we evaluate the new products presented on the market as soon as they are available, and make sure to incorporate them in our selection of options should they be valid and applicable to our customers. This is an ongoing process here at locksmith Liverpool, and we are always training and practicing the installation procedures for the new innovations meaning that our market is your market. Of course with the added experience and experience we can offer here at locksmith Liverpool, you can get the security solution which is just right for you, at the right price. Come and speak to any of our dedicated and friendly team at your own convenience, and we’ll be able to give you a good idea of what can be done for the security of your building, in terms of making sure it’s as safe and sound as it can be. We put in much work and effort to making sure you get the right products, and the best technologies available on the current market, so get in touch today. There is a situation that is more common that commonly thought. The scenario is that of not having access to one’s own home. Something like this can be very alarming and highly stressful, however, don’t panic, just make sure you have the number for locksmith Liverpool close at hand and we will come to your aid in record time. So should you ever find yourself in a situation where the key is broken in the lock, or that your spare key is with someone who is on holiday and not attainable. If you give us a call, we’ll get one of our highly professional and dedicated team members to site in no time at all. At locksmith Liverpool we send all our team members out fully equipped to handle any situation and any lock out situation, guaranteeing you gain access swiftly and in this way minimizing the stress and disruption to your life. Should there be any additional services needed, they will be there at your convenience to help the situation all the way until the job is complete. As these types of situations seldom happens at a convenient time, this service is available 24 hours a day, all year around, so be sure to have the number for locksmith Liverpool saved and give us a call if you ever need. If you have any questions about your own security, if it’s for your home, or your business there are many reasons to choose locksmith Liverpool. Having been active in the industry for many years the team here are highly experienced and professional in the services they provide which is anything from everyday things which are needed. For instance key cutting or maybe you are in need of an emergency lock out service, or maybe you are looking at a bigger more involving project, like upgrading the security for your business premises, or your family home. Whatever service you are looking for, locksmith Liverpool are sure to provide only the best. The best in quality, due to how all of the team members are up to date on the latest innovations on the industry market and trained in installation as well as in service. With a dedicated friendly team who listens to customers, the Liverpool team comes with high recommendations and good reputation. So if you have any concerns or questions at all with regards to security, why not get in touch with one of the knowledgeable people at locksmith Liverpool today, you will be met with the friendliest attitude and the best quality products. 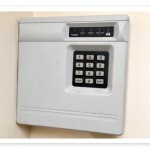 At times one wonders how much security is actually needed to keep a home safe. There may be an alley way connecting to your back garden, or places that are not well lit during the night. At locksmith Liverpool we would like to calm your worries, and if you get in touch with one of our highly professional and educated staff. You can get a security survey of the area made for you. Get in touch with locksmith Liverpool, and we can arrange for this survey which will identify any types of security risks, and we will be able to provide you with tips and tricks to help deter those who are not welcome. Having been working in this industry for many years, we’ve learned to see where there may be potential risks to a property thought practical experience rather than just textbook examples. We are a hands on company, and we are always involved making sure we are up to date on the current technologies, theories and trends with regards to opposing strategy as well as keeping the customer and the customer needs at the core of everything we do here at Liverpool. So why not get in touch and let one of our friendly team members at locksmith Liverpool perform a security survey for your property, and find out if there is anything you could do easily to reduce risk of theft, intrusion and other type of property damage. We are at the peak of the summer season, the sun is shining and the time is now meant for play, fun and maybe most of all for relaxing and enjoying. In order for you to be able to be free of worries this summer locksmith Liverpool would like to give you a friendly little warning. If you are one out of many who are planning a little time spent away from home, traveling far or near to adventure and rejuvenation. The team here offers their services. The level of risk for being the victim of some sort of home intrusion and theft goes up when a house is perceived as empty for longer periods of time. Why not let a member of our experienced team offer some advice on what type of solution could help prevent unwanted surprises upon your return home. If you get in touch with locksmith Liverpool today, we can survey the area of your property. In this we will be able to give you tips and tricks on what pretension measures that are suited for just you. 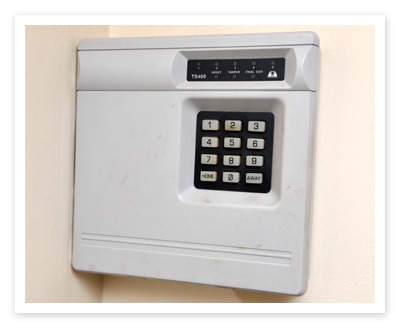 At locksmith Liverpool we can also advice you on the affordable alarm systems available and ready for installation. So get in touch today! After reaching home in the evening, I realized the keys were left inside the house and that I couldn’t get in until my parents come back. After waiting for some time and talking to my parents I decided to call Locksmith Liverpool to come and help me after a long tiring day. I found their number on the Internet and called them to come and help me. Since it was evening and after office hours, Locksmith Liverpool estimated their arrival time slightly longer than usual time. But Locksmith Liverpool was prompt and reached my home soon. I was relieved to see them. After quick initial discussion, they got into their job and helped me quickly. 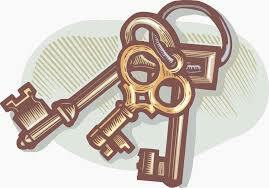 Locksmith Liverpool provides quality service and every customer is important to them. Every time there is a ring in the Liverpool office they take up the calls promptly and asked questions for a good understanding of the situation. After initial assessment, Locksmith Liverpool quickly analyzes and identifies the problem and offers quick solution. They are highly recommended and their service can be reused again in case of emergency. It is important to serve the customers quickly to relive their problems and solve the situation. Locksmith Liverpool is proficient in their job. Locksmith Liverpool always reaches their customer location on time and every time. Locksmith Liverpool is able to calculate and tell the approximate time that is going to take for them to reach and they are usually able to reach on time. I am happy that I contacted them for their service and they quickly came to help me when I really needed help.